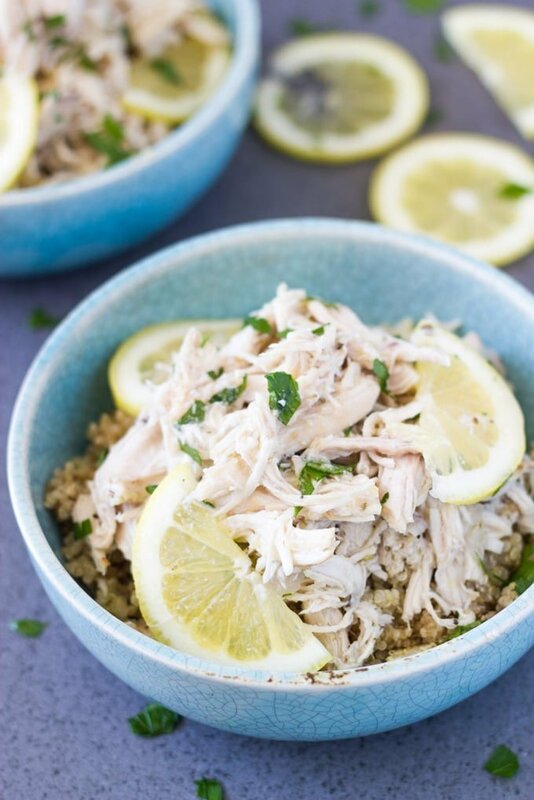 Slow Cooker Shredded Lemon Garlic Chicken is so easy to make and it is packed full of flavour. It is a super healthy meal and you can also easily make a double batch, so that you have leftovers for the week. I realised recently that I have not shared a shredded chicken recipe with you. I have actually made quite a few different recipes, but never shared one on Becomingness. 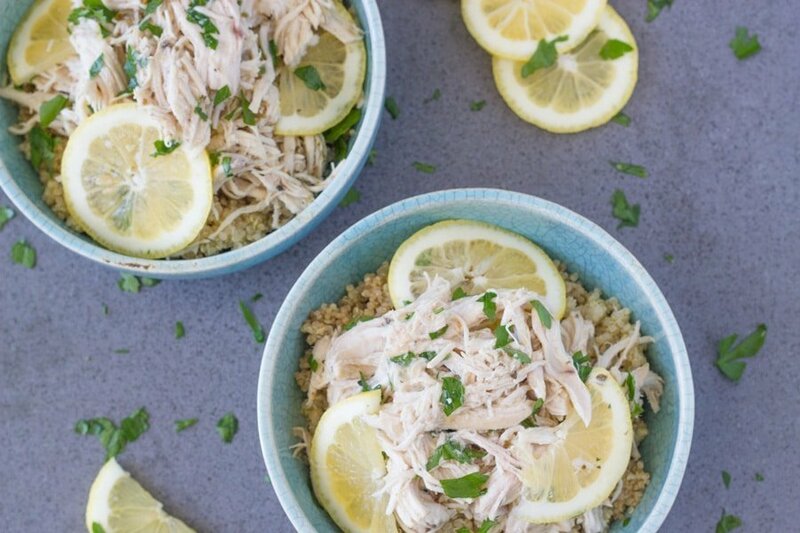 So, I decided I better change that and last week I created not one, but two shredded chicken recipes that you can make in your slow cooker. It is ticks all the food lifestyle boxes…..keto, low carb high fat, paleo, gluten free & dairy free!! PS My kids absolutely love this meal! 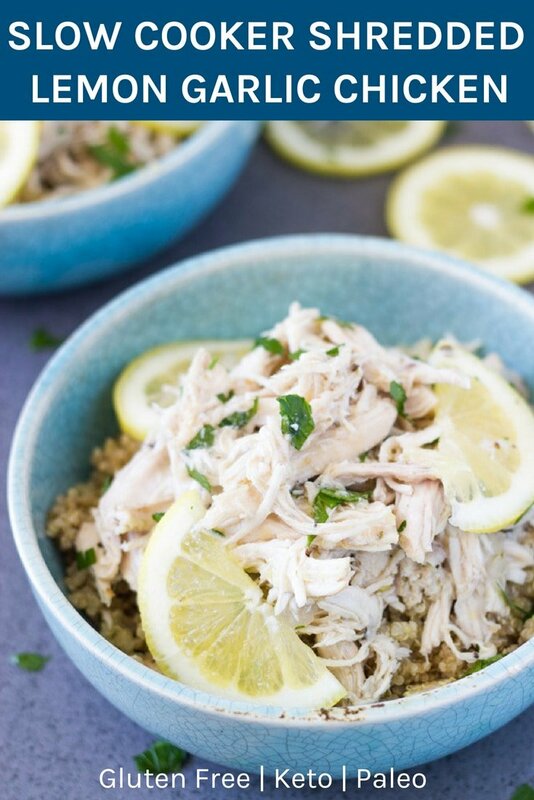 Slow Cooker Shredded Lemon Garlic Chicken is so easy to make and it is packed full of flavour. It is a super healthy meal and you can also easily make a double batch, so that you have leftovers for the week. Mix the dried oregano, salt and pepper in a small bowl. Rub the chicken breast with the mixture. Heat the coconut oil (or butter) in large skillet over medium-high heat and brown the chicken breast for a few minutes on both sides. Transfer to the slow cooker. In the same skillet on medium heat, add the minced garlic and cook for 10 seconds. Then, add the chicken stock and lemon juice, bring to the boil and cook for 3 minutes. Then, pour the mixture over the chicken. Cover the slow cooker and cook on low for 4-5 hours or until the chicken is cooked through and easily comes apart. Shred the chicken with two forks and serve with quinoa (or cauliflower rice) and some steamed vegetables.